Provided your premises is already prewired for an alarm, wired alarm systems tend to be less expensive than wireless systems. However, this may not hold true if your premises requires wiring for an alarm. Most new properties will be already set up with the appropriate wiring in place for an intruder alarm. Most wireless systems operate using batteries which need to be changed every 3-4 years and transmit signals via a radio frequency. An audible-only alarm operates by sounding a siren or bell when the alarm is activated, and relies on the noise the alarm makes to deter burglars and alert owners to the fact that a robbery is being attempted. Remotely monitored systems can be audible or silent, but are connected to the outside world via a phone line. This is predominantly achieved through a GSM unit (using a GPRS mobile network) or landline. They send a signal to an alarm receiving centre (ARC) which informs you or a nominated keyholder(s) and/or the Gardaí (once verified – activation of at least two devices) that the alarm has been activated. Perimeter protection consists of various detection devices including vibration/inertia sensors and magnetic reed contacts protecting external doors and windows around the premises. The intruder alarm is activated as an attempt to make entry into the premises is occurring. Passive Infra-Red detectors, often referred to as beams or motion sensors, utilises a dual pyro (electric element within sensor) to detect changes in the infra-red energy levels in the form of heat and motion within the protected space i.e. room, hallway or corridor. A premises protected by PIRs only will detect an intrusion only when entry has already been achieved into the premises, so careful consideration is needed. Most alarm systems are made up of a combination of both perimeter and motion detection protection in order to provide full protection to the premises. Early detection can often deter an intrusion to the premises obtained through perimeter protection, whilst motion detection will ensure the premises is protected if entry is made into the premises by alternative methods to either the windows or doors i.e. roof entry. There is no ‘one size fits all’ strategy when it comes to choosing an intruder alarm, as much depends on your own individual circumstances. For example, if you are living in an isolated area with few neighbours, then a remotely monitored system may be more appropriate. If you are living in an urban area, or an apartment block, then an audible-only system may be sufficient. If you are availing of discounted home or company insurance on the basis of your alarm, then this may be a determining factor in the level of protection and system that is required. It’s also worthwhile asking your local Crime Prevention Officer for advice. Garda Crime Prevention Officers are stationed around the country to offer guidance and reassurance to members of the community. Standard for all systems, the control panel with its power source, is the brains of the system and links all components in the system, including GSM or telephone line dialler equipment. The panels can communicate with a complete suite of devices including PIR’s, Sensors, Magnetic Contacts, Keypads, Panic Buttons, Key-fobs, Smoke Detectors, Internal and External Sirens and more, both for “Pre-Wired and “Wireless” devices. 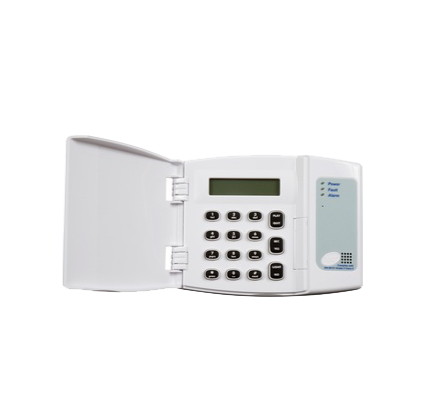 A remote keypad provides a user facility to control/interact with the intruder alarm system. It allows the user to set and unset the alarm, and review the log of events within the system. The keypad consists of audio arming and message functions along with text displays to indicate the status of the system. When the alarm is triggered, the Siren will emit a very loud electronic sound internally for 15 minutes. Used on windows and non-primary entry/exit route doors. Designed to activate before an intruder has gained access to the premises. The shock sensor will detect and analyse the vibrations or excessive impulses resembling those similar to those expected in an attempted intrusion. 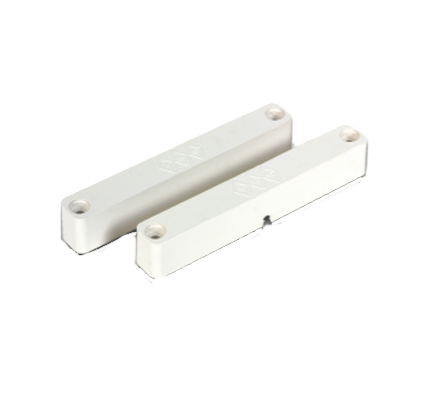 The sensor can cover a span of 4m2. Sensors come in either white or brown. Used on primary entry/exit door and Velux windows to reduce false activations through activity at the door or heavy precipitation or wind. When closed the magnetic contacts complete the circuit. Upon breaking the circuit by opening the door or window the alarm will activate. Contacts come either in white or brown. Burglar alarms fall into two broad categories: ‘wired’ and ‘wireless’ systems. Provided your house is already prewired for an alarm, wired alarm systems tend to be less expensive than wireless systems. However, this may not hold true if your home requires wiring. Most new houses will be already set up with the appropriate wiring in place for a burglar alarm. On the other hand, most wireless systems operate using batteries which need to be changed every few years and transmit signals via a radio frequency. Generally speaking, if your house is wired for an alarm then it is best to opt for a wired system. Within each category of alarm (wired or wireless) there are two further types of system: audible-only or remotely monitored. An audible-only alarm operates by sounding a siren or bell when the alarm is activated, and relies on the noise the alarm makes to deter burglars and alert owners to the fact that a robbery is being attempted. Remotely monitored systems are connected to the outside world via a phone line. This is usually a landline but can also be a mobile network, although this may be more expensive. Remotely monitored systems also emit the sound of a siren when activated; however they additionally send a signal to a central monitoring station which informs you, a nominated keyholder and/or the Gardaí that the alarm has been activated. There is no ‘one size fits all’ strategy when it comes to choosing a house alarm, as much depends on your own individual circumstances. For example, if you are living in an isolated area with few neighbours, then a remotely monitored system may be more appropriate. If you are living in an urban area, or an apartment block, then an audible-only system may be sufficient. If you are availing of discounted home insurance on the basis of your alarm, then this is also an issue. It’s also worthwhile asking your local Crime Prevention Officer for advice. Garda Crime Prevention Officers are stationed around the country to offer guidance and reassurance to members of the community. Like domestic systems, burglar alarms fall into two broad categories: ‘wired’ and ‘wireless’ systems. Wired alarm systems tend to be less expensive than wireless systems. However, this may not hold true if your business premises requires wiring. Most wireless systems operate using batteries which need to be changed every few years and transmit signals via a radio frequency. Generally speaking, if your house is wired for an alarm then it is best to opt for a wired system. Most insurance companies require a certified monitored security system be installed. An audible-only alarm operates by sounding a siren or bell when the alarm is activated, and relies on the noise the alarm makes to deter burglars and alert persons in the immediate vicinity to the fact that a robbery is being attempted. Remotely monitored systems are connected to the outside world via a phone line. This is usually a landline but can also be a mobile network, although this may be more expensive. Remotely monitored systems also emit the sound of a siren when activated; however they additionally send a signal to a central monitoring station which informs you, a nominated keyholder and/or the Gardaí that the alarm has been activated. There is no ‘one size fits all’ strategy when it comes to choosing an alarm for your business premises and a site survey is required to determine the level of security required. Monitored security systems are connected to a remote monitoring station in Dublin. Trained controllers are on hand to alert keyholders and to initiate a Garda response 24 hours a day, 365 days a year to alarm activations. 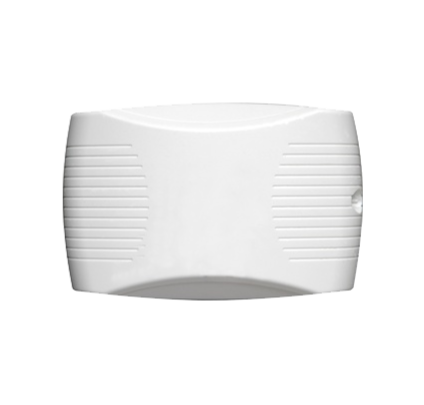 We can monitor intruder alarms, panic alarms, fire alarm, medical alerts and open/close reports which is often used in commercial premises to notify the keyholders if the alarm system has not been turned on or off at a specific time. A monitored security system may reduce the cost of your insurance cover, ask your insurance company for details. 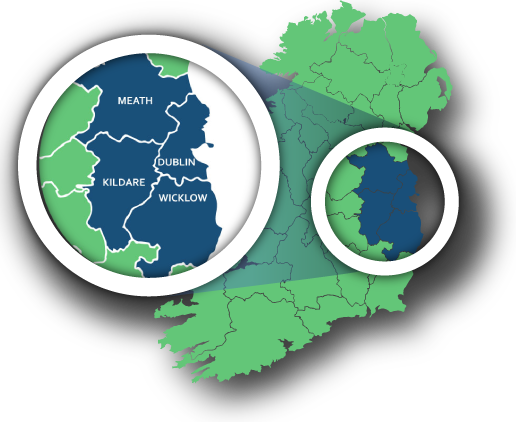 We cover all areas of Dublin and the Greater Dublin Area, including Meath, Kildare and Wicklow. Additional costs may be incurred for call outs to areas outside this region. Your Preventative Maintenance contract will entitle you to a routine service call annually by our alarm engineer to check your entire system is fully operational. It will also supply you with unlimited access to our 24 hour on-call emergency service in the event of a fault or system failure. You can also avail of reduced hourly rates for additional works if required. The average life expectancy of a sensor and contact is between 10 to 15 years at best The average life of the backup battery (in the event of a power failure) is 3-5 years, as noted by manufacturer. Therefore the ageing of the system is the main concern for determining the ideal maintenance package to choose from. The newer the system the less likely it is that faults will exist, hence one visit may be more suitable. Access to 24 hour service, not available to customers without maintenance. If there is a current fault on the system you may avail of one call immediately and have a 2nd follow up call in 6 month time. As sensors begin to fail with time they will do so intermittently. Two services annually will give the customer the best cover to ensure the systems devices are operating within parameters. Check system log for faults. Correct date and time if not accurate. Clear any fault messages if present. Check the Intruder Alarm system and that all equipment and devices are functioning correctly. Check operation of all devices by performing an Engineers Walk test on the system to ensure all detection devices activate the alarm and are within the correct parameters. Check both mains and standby power supplies. Includes full load test on battery to ensure it will last a minimum of 12 hours as required. Check all internal and external audible warning devices are operational. Check remote signalling equipment and ensure connectivity to monitoring station if applicable. Update software on system. Allows customer to benefit from newer features not available at the time of installation. Inform end user of any faults or concerns there may be with the system. Provide a copy of the engineer’s report. As with all aspects of your intruder alarm, the decision whether to choose monitoring is determined by what each customer feels is adequate protection after a risk assessment of their own position. Considerations must be given to the surrounding area, crime level in vicinity, quantity of valuables in the development, vulnerability of the resident and most importantly what protection each individual feels comfortable with. The question that must be asked is, if my alarm is activated, do I only want myself to be notified or do I want myself and the Gardaí to be notified. 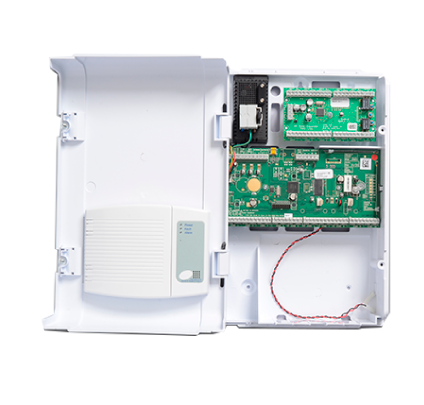 Using the SecureComm server and SmartLink700, installers will be able to perform Up/Download over IP/GPRS and in addition will be able to carry out remote maintenance and adjustments to detection devices and control equipment. Communication is dependent on the GPRS network provider (i.e. 3G signal in area) or the router installed. The HKC App will allow end users, using their smart phone, full control of their security system including issuing commands and receiving push notifications and alarm messages (text & audio) from the system. By downloading the HKC App the user can issue set & unset commands, receive push notification (with audible annunciation), have access to a fully functional virtual keypad and log interrogation. The HKC App is available for Apple, Android and Windows devices, currently priced at €7.99. Alarm signals are sent to an approved ARC who in turn contacts the nominated keyholders and/or Gardaí as required. Garda response requires that the Alarm System has some form of verification. In all cases alarm verification is carried out by the alarm system automatically when a second separate detector activates. All our Alarm Systems can be connected to an Alarm Receiving Centre’s which can receive all types of alarm signals, the most common being Intruder Alarm, Panic Alarm and Fire Alarm signals. Once you arm your alarm system it will transmit signals upon activation. However, Panic buttons and interlinked smoke detectors work even when unset. When activation is detected your alarm system will send a signal to the ARC. Using enhanced alarm protocols, modern systems can notify an ARC of exactly what area (i.e. zone description) of your home or business premises has activated. Once the monitoring centre has received alarm signals, you and/or your key holder or security company will be instantly notified in addition to the appropriate emergency services if necessary. A monitored security system may reduce the cost of your insurance cover, ask your insurance company for details. This service carries an annual charge, payable directly to the Alarm Receiving Centre. How long is Lara in operation? Lara is a well-established, wholly Irish owned company, in operation since 1986. What areas do Lara cover? Lara covers all the Dublin and the greater Dublin Area including Kildare, Meath and Wicklow. Lara covers other areas upon request but rates may be greater depending on distance. Call office on 01 465 9090 for further details. Is Lara a fully licensed company? Yes. Every Alarm and Electrical system is tested and approved to the EN – 50131-1. In recognition of our professional operation, the company is certified by the NSAI, PSA and RECI. Why use a licensed company? How long is my alarm guaranteed for? All our alarms are guaranteed for the first year following installation – that includes parts and labour charges as a result of faulty equipment or workmanship. However, Lara will not take responsibility for damage due to a cabling fault not installed by Lara (i.e. Pre-wired alarm). Do Lara engineers carry I.D. with them? Yes, all Lara engineers will have valid I.D. on them at all times. Do Lara have 24 hour emergency service? Yes, for maintenance contract holders. How can I pay for my alarm install or service? A customer may pay for works done directly to the engineer upon completion of the works, or contact the office directly on 01 4659090 and pay by credit/debit card. A receipt and invoice will be supplied for payments. Are quotations free? What if I feel I need a site survey? Quotations are free. A site survey for a domestic alarm is often not required for standard houses. For one off houses that are complex in design or are seeking to incorporate access control or CCTV, a survey may be required. How long do I have to wait for an installation? Lead times for service calls or installations vary depending on demand, from same day service up to a week. On average an engineer will be with you with you within two working days. What if I have a non-Lara alarm? Can Lara take it over or service alarm? Yes. If an alarm panel is not engineered locked a Lara engineer will be able to default the system and reprogramme it. However, if an alarm panel is engineer locked a new panel will be required if an engineer code cannot be obtained.It cannot be determined whether your alarm system is engineer locked until our engineer attempts to re-programme the system on site. How long does a new install take? The length of time is dependent on the size of the system being installed. Typically to estimate the time needed to allow for an install, allow 15 minutes per window and doors, plus an additional two and a half hours. The majority of alarms are installed on the same day. Will my alarm work in the event of a power failure? Yes. There is a back-up reserve battery located in the alarm panel which will maintain the alarm for up to a minimum of 12 hours if maintained correctly. What is the difference between Wired and Wireless alarms? Wired alarm system has cables connecting all the detection devices back to your control panel. This involves cables run around your house from each point. Most new houses have alarm cables pre-installed during construction. Wireless detectors contain batteries and transmitters inside the sensors and enable them to send signals by radio-wave back to your control panel. This eliminates the need for cables and makes for a tidier installations if the house has not been pre-wired for. Batteries last about 4 years and are monitored by the control panel. Why has my text service stopped working with my alarm? Can this be fixed? Eircom have decided to remove the functionality that supports “Fixed SMS” (i.e. the ability to send and receive SMS via fixed land line phone). In order to get around the Eircom service that is now suspended, there are two options open to you in order to keep your self-monitoring. HKC has established a server through their subsidiary company SRC Ltd, which will provide the service that Eircom previously provided. In order to avail of this service an engineer will be required to call out to re-programme the communications aspect of your intruder alarm to report your alarm events to a different ‘service number’ from that of Eircom. A call out fee would be incurred for the engineer to work on the system. There is a further service charge from SRC Ltd, to be paid monthly by direct debit for a 24 month contract of €3.40 (incl. VAT) a month. Alternatively, a GSM-SC module may be installed into your alarm panel. This is only available for HKC 1070 panels (HKC installs after 2009). 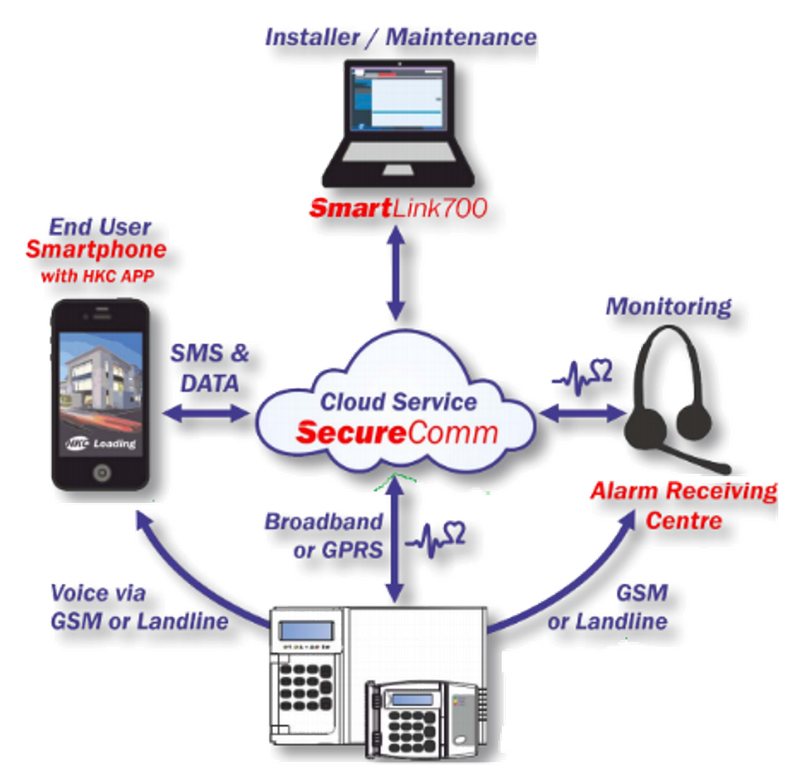 A call out fee and cost of GSM-SC would be incurred for the engineer to install on your alarm system, of €270 (Incl. VAT). There is a further service charge from SRC Ltd, to be paid monthly by direct debit for a 24 month contract of €4.99 (incl. VAT) a month. This would allow access to text alerts and use of the new HKC phone app with multiple user friendly functions. What if I have forgotten my alarm code? Moved into new home but never received alarm code? Unfortunately if you have forgotten your code an engineer will be required to attend to reset the code. This will incur a call-out fee. 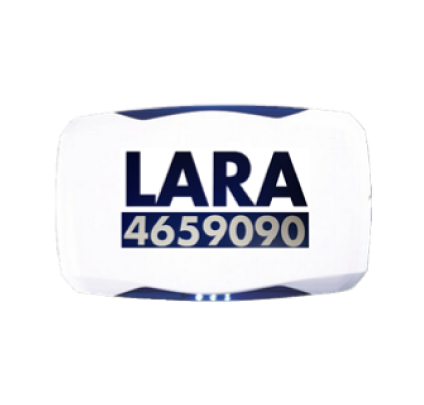 If the alarm is a Lara installation, unless an alternate alarm company has serviced the alarm previously, the alarm will contain a Lara engineer code which will allow the engineer to access the system easily. In the event that the system is not a Lara installation or the engineer code has been changed by another company, it will require the engineer to default the system. However, If an alarm panel is engineered locked a Lara engineer will not be able to default the system successfully. In this instance the only way forward is to obtain the engineers code from the company that serviced the alarm last or to install a new control panel as a worst case scenario. Can I get CCTV with my alarm? Yes. Domestic CCTV packages are available to go with the intruder alarm. Typically 4, 8 and 16 camera systems with remote access/viewing via app on your smart phone are available. Do you install perimeter security, beams for example? Yes. Perimeter beams are a good way in which to alert to potential intrusions prior to encroachment on the house. We specialise in the installation of this type of system. How does the phone app work? Will pets set of my alarm? Pets can cause false activations. 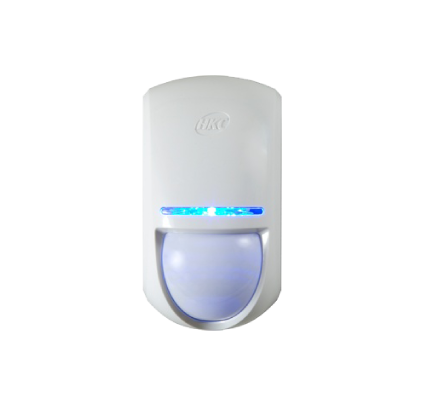 The motion detection PIR is pet immune up to 35kg. Also, windows and doors are fitted with inertia sensors that will activate the alarm upon vibrations and impulses from contact. However there is flexibility in the system whereby the inertia sensors have been engineered to activate under specific criteria, thus minimizing the amount of activations to pet activity. 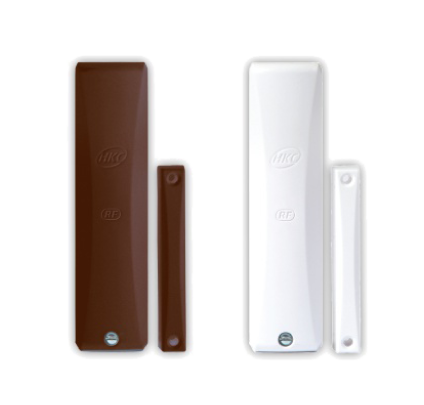 If the system is wireless the PIR is not pet immune. If I am connected to an Alarm Receiving Centre (ARC), what happens if I set of my alarm? Step 1: An alarm system activates and a signal is sent to the central monitoring station. Step 2: The monitoring station receives a signal and the customers details automatically flash on the screen within seconds. Step 3: The method of signalling automatically tells the controller the nature of the alarm, i.e. burglary, fire, personal attack etc. Step 4: To eliminate false alarms the controller may telephone your premises i.e not on a panic alarm signal. Should an incorrect passcode be given or no reply received, it will be treated as an emergency. Step 5: A controller immediately acts on your behalf notifying the Gardaí, keyholders and other relevant emergency services. Step 6: All information in respect of the activation and subsequent actions taken are recorded on a real time basis. This information can be recalled at any time. How do I change my details or keyholders? You may change your details or keyholders by contacting you monitoring company with your account number to hand. They will advise you from there how to proceed. Is it worth getting a dummy intruder alarm box? Having a dummy bellbox may assist in raising awareness that an intruder alarm exist if entering from the rear of the house. However some intruders may tell the difference between a working alarm system and an empty shell sitting on the outside of a house. Can I set the alarm at night? Yes, and we always advise you do. We can program the system to include only those areas of the premises that you want protected and exclude others for the ‘night’ setting. It is more disturbing to be burgled when you are asleep that when you are out of the house. How can I silence my alarm? Silencing your alarm can only be achieved by entering a valid user code. There are several reasons that could prevent a valid code from being accepted. The most common one is that the system has been confused by a wrong entry initially, if this is the case it is a good idea to clear the keypad in accordance with the manufacturer’s recommendation and start again calmly. Another reason is that the keypad has locked out. This is common occurrence as most keypads will lock out for security reasons after detecting incorrect code presses. The amount of time the keypad locks out and when it will lock out is depending on the manufacture and type panel. Another reason is corrupt system software, which may be caused by power cuts etc. However in most circumstance we find that unfortunately it is user error. Can I change my user code? Yes, but only if manager menu is activated on your intruder alarm. Type in your alarm code which you use to unset you alarm which will bring up “Full Arm?”. If it is a brand new alarm, and unless informed differently, our engineer will have used the code 1111. Note: If your system arms immediately, manager menu is not activated on your system and will require an engineer to call out to reset the system. Can I get a reduction on my home insurance if I have an alarm? Yes; many insurance companies will give you a reduction of between 10%-15% on your annual premium if a professional alarm system, certified to EN 50131-1, is installed.